For our ILT, we visited Food Lover’s Market on Sandown Road. Each group had a budget of R100 and it was very interesting observing their negotiation skills and making decisions. They had to choose two fruit from 3 categories (deciduous, citrus and sub-tropical) and pay for their goods at the cashier. If they had money left, they may choose more fruit from the list. One group had only 10c left after their shopping experience. The Quails had an awesome time playing with the rescued animals. These dogs and kittens are rehabilitated for adoption. We also wrote thank you letters to Mpho who works at the Epping Branch. Each child experienced “Living and Loving beyond Self”. Enjoy reading the authentic letters our children wrote to Mpho. Many hearts were touched! Learning beyond the classroom in full swing! Afrikaans is koel! With Mrs Van Tonder! 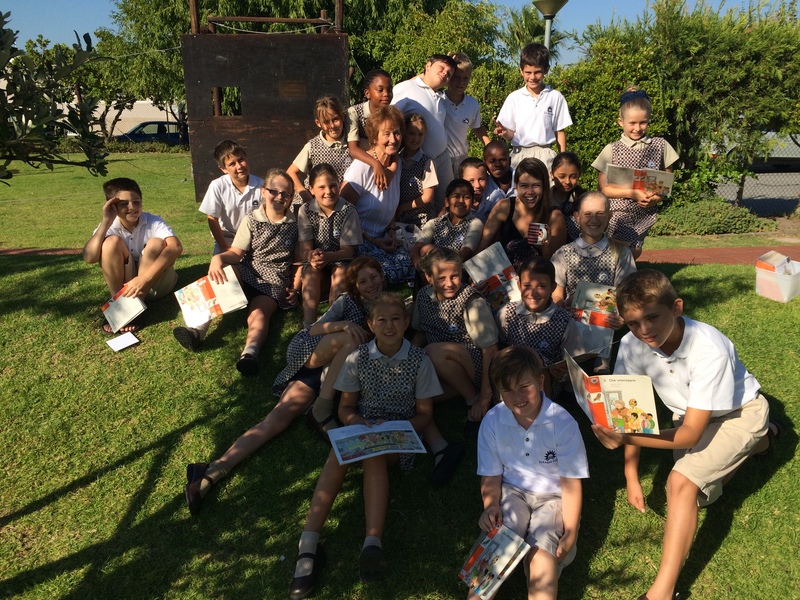 When the heat and noise gets too much, Mrs Van Tonder takes the Pheasants to read in the shade of a tree! Thats how we keep Afrikaans cool! And when we have a guest visitor in the form of Mrs Stanford, things just get better! To end our FIRST term at the SP Campus, our children did various activities like Decoupage, Card Making, Charm Bracelets, Baking, Science Club, Art, Mosaicing, First Aid, Survival Club, Horse Riding. Township Tour, Dance, Photography, Outreach to Pebbles, Science Club and Sewing.